I'M NOT READY FOR IT. The entire world (me) went into meltdown when Taylor Swift announced her first album in more than three years, Reputation, will be released on 10 November. So far this era we've been gifted with two singles, a music video that was so full of hidden messages I'm still deciphering it over a month later, and fan theories so in-depth that I'm convinced Swifties are all actual detectives. But in the last few days Taylor has stepped it up a notch, inviting a select few fans to her home in London for ~secret sessions~, where she gave them a sneak preview of the new album. According to the lucky few fans who were invited, Reputation is Taylor's best album yet, and I CANNOT WAIT. 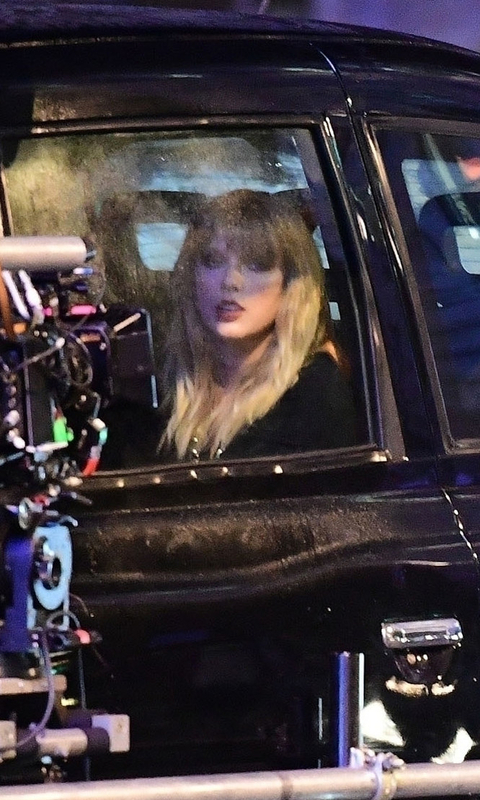 And with less than a month to go until Reputation's release date, Taylor's also been spotted in London doing something seriously exciting: FILMING A NEW MUSIC VIDEO. Although we don't know what song the music video is for yet, it seems to show Taylor and her friends having the time of their lives on a night out. But, most importantly, HOW GREAT IS THIS LOOK??? I am 100% here for Grunge Taylor, the older, wiser sister of Goth Taylor. She also apparently filmed a scene in a Kentish Town kebab shop, which has me simultaneously shook and full of about a million questions. Sorry, guys, but Taylor is British now! I don't make the rules!!! Now, if you'll excuse me, I'll be coming up with theories about these photos and counting down til 10 November. ONLY 25 MORE DAYS TO GO, GUYS.